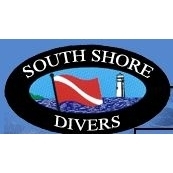 South Shore Divers is the third oldest owner-operated dive store in the country. We have been teaching people to dive for over forty years. Our facility boasts a large line of diving equipment for sale or rental to meet your every need. We also offer top quality repair and service by our highly trained technicians. Remember to take advantage of our specialized snorkeling packages for non-diving travelers. Call us today for more information.